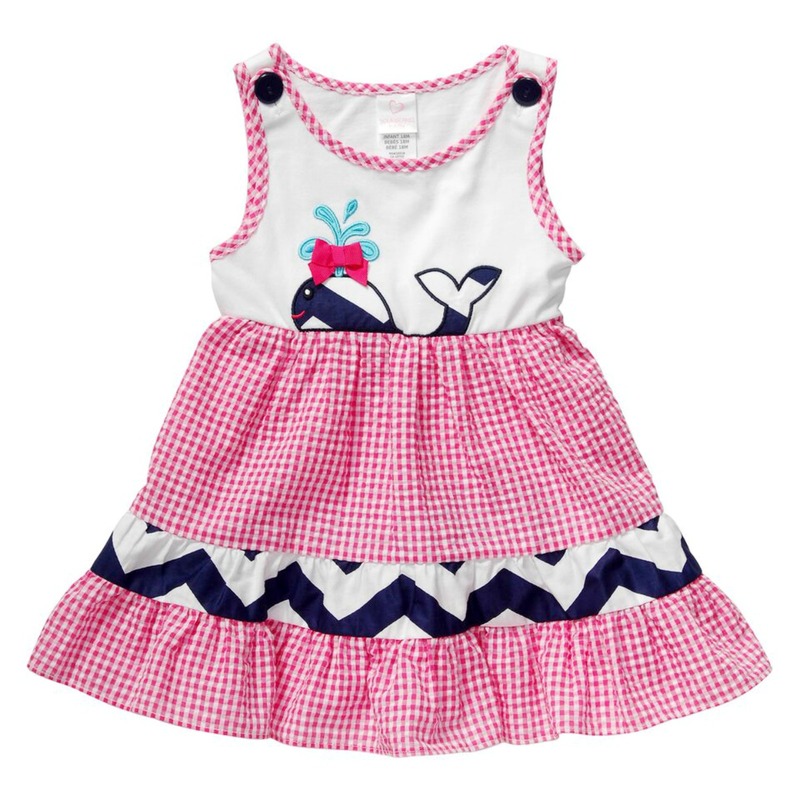 Adorable seersucker sundress with whale motif is too cute! By Youngland Girls Collection for In Fashion Kids. Machine wash. Imported.